New Year, New Resolutions, New You? At this time of year many people start thinking about New Year Resolutions. 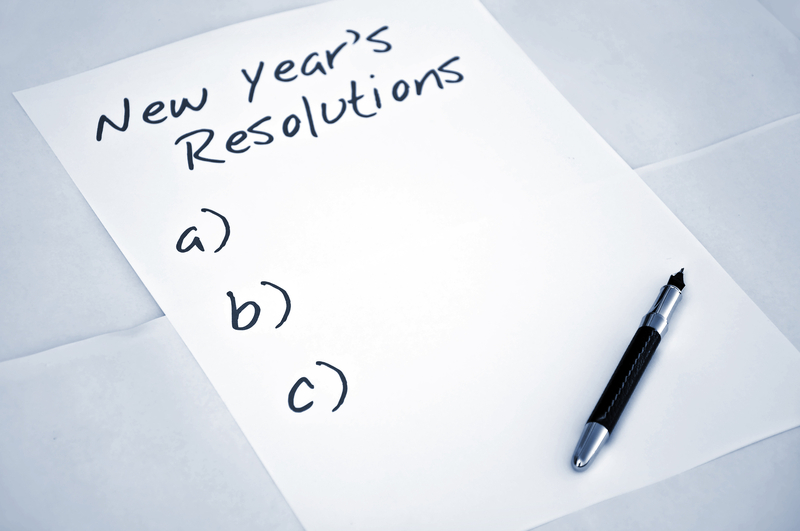 Often these resolutions will involve getting fit or losing weight. Your success or ability to lose weight and/or get fit will be intrinsically linked to your ability to move well. We get fit by moving and we lose weight by moving. If we cannot move well and without pain our chances of fulfilling these particular goals are slim… pardon the pun! So with that said it would make sense to address your ability to move and perhaps make improving your movement one of your new years resolutions. When you can move well and without pain you will be more inclined to continue with your chosen exercise regime/activity. You will also be less likely to pick up an injury that might scupper your progress. All of these benefits will go a long way towards helping you achieve your fitness or weight loss goals for 2016. If you would like to learn more about Somatics check out this blog entry which provides example of some Somatic Exercises and links to further Somatics resources. If you live in Dublin, you can contact me directly to book in for Private Somatic Movement Classes or Clinical Hands On Sessions here. Whatever your goals are for the new year, have a happy, healthy and active 2016! Author cgmd1Posted on December 28, 2015 January 11, 2016 Tags clinical somatics, Dublin, hanna somatics, Movement, muscle pain, nervous system, Somatic Education, Somatics1 Comment on New Year, New Resolutions, New You? You can’t fix a problem that you are not aware of. In the context of Somatic Education, Sensory Motor Amnesia is the problem, the Three Reflexes are how the problem presents and pandiculation is (one of) the tools we use to address and resolve the problem. Everyone has some degree of SMA, from a little to a lot. Read more about what SMA is and how it develops, here. SMA shows itself in the body as habituated contraction of Three Reflexes. These are brain reflexes, if you are conscious and reading this, then you have a brain, and if you have a brain, you will be susceptible to habituation of these three reflexes. I encourage you to read the three blog entries on each of the reflexes. When we habituate any or all of the Three Reflexes we will inevitably have movement deficits and/or muscle pain. The extent of either will be dependant on the subtlety or severity of our Sensory Motor Amnesia. Regardless, the approach to resolving the SMA is the same. We must remind the brain how to use the affected musculature correctly. We do this by voluntarily recreating the Three Reflexes and then slowly decreating them. In the case of Green Light Reflex, this involves purposely contracting the muscles of the Green Light Reflex, which is all the muscles of the back of the body. This allows us to take cortical* control of those muscles, and then slowly relaxing them under control. This simple act of pandiculating reduces the resting level of tension in the muscles for better movement, reduced pain and improved comfort. Here is an example of a simple Somatic Exercise to address Green Light Reflex, pandiculating the muscles of the back of the Spine, with an emphasis on the lower back muscles. I would advice watching the video first and then doing the movement whilst listening to the video. Here is another simple Somatic Exercise that addresses Red Light Reflex. Again watch the video first and then do the movement whilst listening to the video. As you can see from the videos, Somatic Exercises are performed, slowly and gently with the intention of something like a yawn. Try these out and leave a comment on your experience. I am currently developing my own instructional Somatic Exercise videos and an eBook which I hope to have available in the new year. If these are something you would be interested in leave a comment below this post. 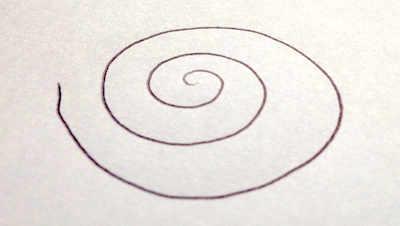 In the meantime here are some links to Somatics resources around the web. You can find more videos from each of these Somatic Practitioners on Youtube and Vimeo. (about half way down linked page under the heading AUDIO). These are Somatic Movement Classes guide by the late Thomas Hanna, the man who developed this work. Highly recommended. Comprehensive Somatics instructional CDs and DVDs for a wide range of issues. I’ll be back soon with my regular Somatics blog posts, in the meantime share this post with anyone you know who is interested in Somatics resources around the web. Stretching Vs. Pandiculation – What’s the difference and why does it matter? Let’s look at the key differences between stretching and pandiculation. Pandiculation is used extensively in Clinical Somatic Education to regain the brain’s control of tight painful muscles. When a muscle is stretched, the sense receptors within that muscle send information to the spinal cord to indicate that the length of the muscle has changed, in this case lengthened. The spinal cord in response sends an impulse to the muscle being stretched, triggering a contraction (tightening), it also sends an impulse to the opposing muscle inhibiting a contraction. So, stretching a muscle causes it to respond by contracting. This is counter to what you’re are trying to achieve when you stretch. This is a very basic explanation of the stretch reflex. 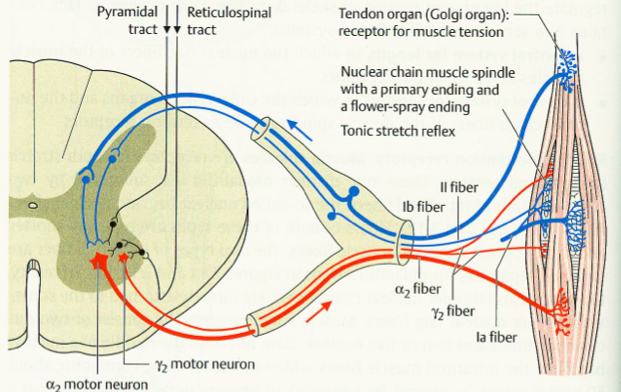 As you can see the brain is not involved in the process at all, the stretch reflex is a spinal cord reflex. 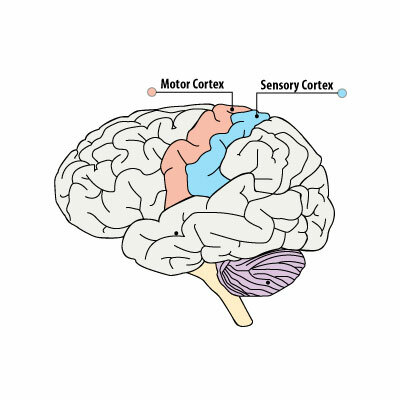 When a muscle is contracted, the sense receptors within that muscle send information all the way to the Sensory Motor Cortex of the brain (see image below) to indicate that the length of muscle has changed, in this case shortened and also that the level of tension in the muscle has increased. Because this information has reached the brain, the muscle can be sensed or ‘felt’. It is now under your conscious control. At this point you can choose to increase, maintain or decrease the level of contraction. When pandiculating you will slowly decrease the level of contraction all the way down to complete rest. But the take home point is you ellicit full cortical control over the muscle when you contract it voluntarily. Stretching is passive, you are not actively using the muscle, you are merely pulling on it, there is no brain involvement. During a Pandiculation you are actively using the muscle, your brain is involved in the process. Passive stretching and even PNF* stretching temporarily reduce the potential power output of the muscle. Pandiculation strengthens the connection between the sensory motor cortex of the brain and the muscle. The muscle can be sensed more clearly and control of both functions of the muscle (contraction and relaxation) are increased. This is because the muscle is both contracted and relaxed slowly and carefully during a pandiculation, essentially allowing you to practice both functions. Because the brain is very much involved in the process of Pandiculation there is a large amount of new sensory information for the brain. Therefore new learning takes place. Passive stretching is generally uncomfortable and can even be painful especially if Sensory Motor Amnesia (SMA) is present. Pandiculation performed correctly feels very pleasurable and relaxing. It has the feeling of a yawn. There is no focused attention required to pull on a limb and evoke a stretch. Focused attention is absolutely required to perform an effective Pandiculation, both to contract the desired muscle and also to control the slow relaxation phase so that it feels smooth. Passive stretching confers only a temporary change in length, if any, as the muscles reflexively recontract in response to the stretch. Pandiculation confers more permanent changes in muscle length as you brain LEARNS a new longer resting length for your muscles. Please note the changes in muscle length that are achieved through pandiculation are as a result of the reduced level of tension in the muscle. They are not as a result of tissue remodelling. Passive stretching does nothing to eliminate the habituated levels of chronic muscular contraction that are typical of Sensory Motor Amnesia (SMA). Pandiculation eliminates SMA quickly and easily by returning control of the muscle to Sensory Motor Cortex and allowing you to learn how to relax and lengthen your muscles. These are the main differences between Stretching and Pandiculation. One final point to note is that often when people stretch they will stretch muscles in isolation, whereas with pandiculation one contracts many muscles at once. This allows us to release large patterns of contraction more quickly and effectively. The learning component of pandiculation allows you to develop better sensorimotor control over your muscles, and muscles that you have full control over will not cause pain. It is only those muscles which you have lost control over that become chronically tight and painful. The pain is the warning sign that you do not have control any more. If you would like to learn more about Somatics and how it can help you to improve your movement and reduce or eliminate your muscle pain, get in touch here. Author cgmd1Posted on October 28, 2015 July 10, 2017 Tags chronic pain, clinical somatics, Dublin, Movement, muscle pain, nervous system, pandiculation, sensory motor amnesia, Somatic Education, Somatics, Sub cortical reflex53 Comments on Stretching Vs. Pandiculation – What’s the difference and why does it matter? How does The Red Light Reflex cause, neck pain, shoulder pain, back pain, problems in the arms and wrists , shallow breathing and poor posture? Red Light Reflex is an habituated and ongoing tightening of all the muscles of the front of the body. When you forget how to relax and lengthen the muscles of the front of the body you can develop many problems over time. In Clinical Somatic Education we call this inability to release and relax muscles Sensory Motor Amnesia (SMA). With Red Light Reflex the main muscles involved are the muscles of the belly (Abdominals), chest (pectorali major and minor), shoulders (upper trapezius) and inner thighs (adductors). 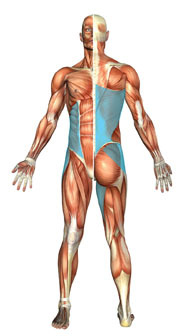 So how does involuntary chronic tightness in these muscles lead to pain and poor movement? Some points to notice, in the figure on the right. As you can see from the image above Red Light Reflex causes a curving forward of the spine. This creates a situation where the back muscles are always lengthened but at the same time working hard to keep you upright in gravity and maintain your head position. This constant workload creates sore, tired back muscles and leads to pain in the mid and upper back. Problems in the arms, elbows, wrists and hands are also often due to habituated Red Light Reflex. The brachial plexus, which is the main nerve that innervates the (upper limbs) arms runs between the scalene muscles of the neck, through the area behind the collar bone and just behind the attachment of pec minor (small blue chest muscle in image below) towards the armpit. When the chest and neck muscles are habitually contracted, as is the case with Red Light Reflex, they can compress the brachial plexus causing; Thoracic Outlet Syndrome, tingling and numbness in the arms and hands, weakened grip, carpal tunnel syndrome, cold hands etc. This is yet another example of tightness in the centre of the body leading to problems at the extremities. You can also see in the image below the intercostals, these are the muscles that are found in between each of the ribs. In Red Light Reflex these muscles will also be habitually contracted to some degree. As you can imagine, if these muscles cannot relax fully your ability to breathe deeply is reduced. In this situation the ribs are no longer free to expand making space for the expanding lungs. As a response to this we begin to chest breathe which adds further fatigue and tightness to the muscles of the chest, neck and shoulders. Chest breathing is inefficient and can cause systemic low level anxiety and fatigue due to insufficient oxygen intake. Belly breathing in contrast is efficient and helps you feel relaxed and energised. Belly breathing is only possible when we are able to let our abdominals and intercostals (between the ribs) relax and lengthen. 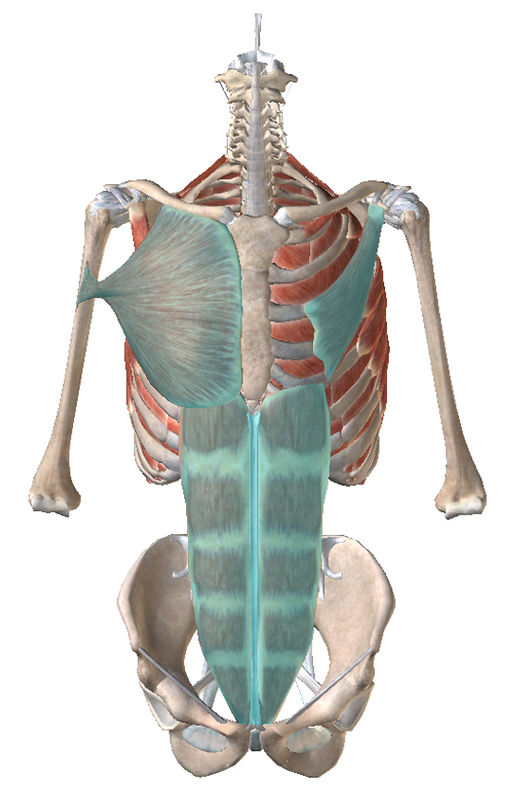 The image below highlights the chest muscles (pectoralis major and minor) and the abdominals for clarity. As you can see Red Light Reflex can contribute to a myriad of complaints. The good news is it is relatively straight forward to release and relax all the muscles of the Red Light Reflex using safe simple Somatic Exercises or through Clinical Hands On Lessons. Through Somatics you will learn how to recreate these Reflexes voluntarily so that you can DECREATE them voluntarily. We do this by pandiculating all the muscles and movement patterns involved in each reflex (Green Light, Red Light and Trauma). This allows YOUR BRAIN to regain control of your muscles, and in turn your body and movement. If you would like to learn more, you can get in touch with me here. Reading is a highly complex MOVEMENT SKILL, it requires fine motor control of the eyes in order to follow the line of text to the end and then find the start of the next line to continue reading. As children, many of us would use our index finger to find the next line of text and our eyes would follow the finger. As our motor control of our eyes improved, we were able to do away with the guiding finger. Speaking involves fine control of all the muscles of the tongue, mouth and larynx and the diaphragm and abdominals coordinated into that which we call speech, speech is nothing more than specific movement patterns of these parts organised in such a way as to create sound. Singing is a more refined and expressive extension of all of the above. Writing also involves very fine motor control of the hands, to hold the pen or pencil, to adjust the pressure and to make the necessary shapes to create clear legible handwriting. Playing any musical instrument involves learning a series of movement patterns enabling the playing of musical notes and then combining them to create music. Touch typing on a keyboard is again a learned movement skill. Even something as mundane as eating, involves highly complex motor skills to cut and fork your food and guide it to your mouth. Ditto guiding a drinking glass from table to mouth. Every single thing we do as human beings is movement, even those things which we don’t normally associate with movement, or think of as movement. Movement is the function of a human, no other creature on this planet has as much movement potential. This is easily observed in our countless sports, dance, martial arts, gymnastics, and many other activities. In fact we instinctively admire and revere good quality movement, we may call it grace, or skill. We will pay good money to observe high quality movement in action in sports, dance, theatre… Every 4 years we have the Olympic Games, a showcase of different movements skills performed at the very highest levels, and those who are the most elegant and refined, perform the best and win gold, our most prized precious metal. Deep down we know that our health is intrinsically linked to our ability to move well. We associate the ability to move freely with youth and the lack of that ability with old age. Perhaps maintaining or regaining our ability to move would allow us to feel young again… Like a child… Would being able to move well into our senior years make us like a wise child? Would it allow us to retain some of our child like wonder at the world? One thing is for sure it certainly would not hurt. Somatic Education is all about improving our movement by cultivating awareness of, and refining our control over, our muscles. With improved sensory awareness and motor control comes improvements in movement. These improvements make it easier and more enjoyable to pursue the activities we enjoy most, whatever they may be. If you would like to learn more about Somatic Education and how it can help you to move more freely and comfortably, get in touch here. A yes, the scourge of the glute that won’t fire, but what does that statement actually mean? As a quick reminder, a Trauma Reflex creates an involuntary twisting and bending of one side of the trunk due to an accident, impact, fall or even surgery. Imagine the way your body twists when you try to move away from a tickle in the ribs for example, that would be a quite similar pattern. But it’s not just your glute is it? Muscles never, ever, ever, ever work in isolation. It’s all the muscles of the waist, all the spinal rotators, even the abdominals and the hip flexors too. Muscles always work in groups and in patterns. So if your glute isn’t firing, you can be 100% positive that the synergists and antagonists are also not operating optimally either. You are the proud owner of a habituated Trauma Reflex. Have someone take your photo from the front and the back. Take a good, hard look at this photo. Here’s a hint, whenever one side of your body is assymetrical or out of balance and different from the other side, you have a Trauma Reflex. Look for the following clues that would reveal a possible Trauma Reflex. 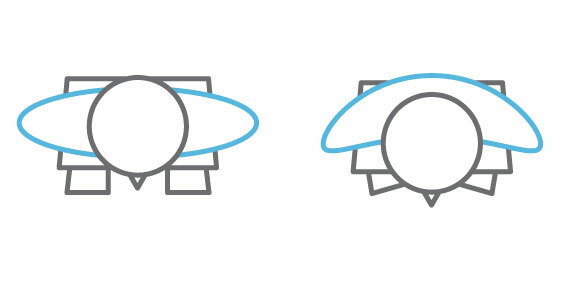 Is your head slightly tilted to one side or shifted to one side? Is the space between your arms and your torso different on each side? 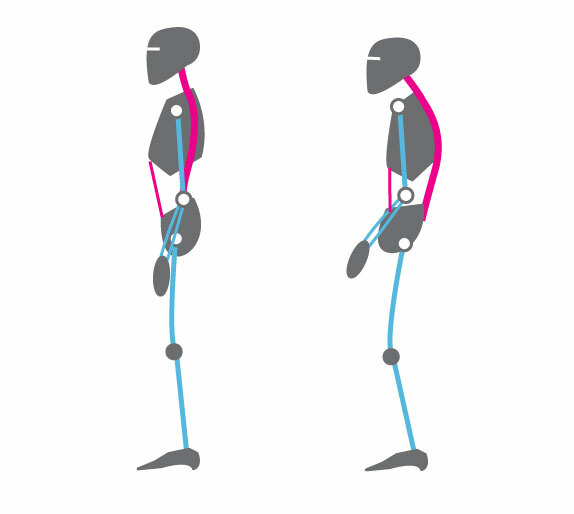 Is your torso sitting directly atop your pelvis or is it shifted to one side? If you answered yes to any of these questions you do indeed, have an habituation of the Trauma Reflex. Do you think it would be a good idea to put a heavy barbell on top of a body that displays these signs? Or run 10 miles? Or cycle 50 miles? Even walking with a Trauma Reflex can lead to problems. Performing any athletic endeavour when your pelvis, shoulders and trunk are out of balance can cause injuries; it is a truly joyless experience. Squatting and Deadlifting with a Trauma Reflex will almost definitely lead to injury over a long enough time frame or under a large enough load. Running or cycling will lead to more wear and tear on one side of the body as you are essentially off balance all the time. There is also a very, very good chance that you will have some habituated Green Light and Red Light Reflex as well as your Trauma Reflex. Why? Because everybody does; we all live in the same world and deal with the everyday stresses and strains of modern life. So how does one regain the ability to fire the glute, reinstate your balance, improve your movement ability and get back to the sport or activity you enjoy? Get thee to a Clinical Somatic Educator and experience Clinical Lessons so you can get hands on feedback to release the Three Reflexes and eliminate SMA even quicker than you can do it on your own. You will also learn how to perform safe, simple Somatic Self Care Exercises. Somatics Self Care Exercises are curative and preventative movements that teach you how to recreate each of the Three Reflexes (Green Light, Red Light and Trauma) yourself and then slowly relax out of them, this is called pandiculating. Your cat/dog pandiculates all the time – and their glutes always fire. Author cgmd1Posted on August 26, 2015 Tags clinical somatics, Dublin, green light reflex, hanna somatics, hip pain, knee pain, Movement, muscle pain, nervous system, pandiculation, red light reflex, sensory motor amnesia, shoulder pain, Somatic Education, Somatics, sore joints, trauma reflex6 Comments on My Glute isn’t firing?